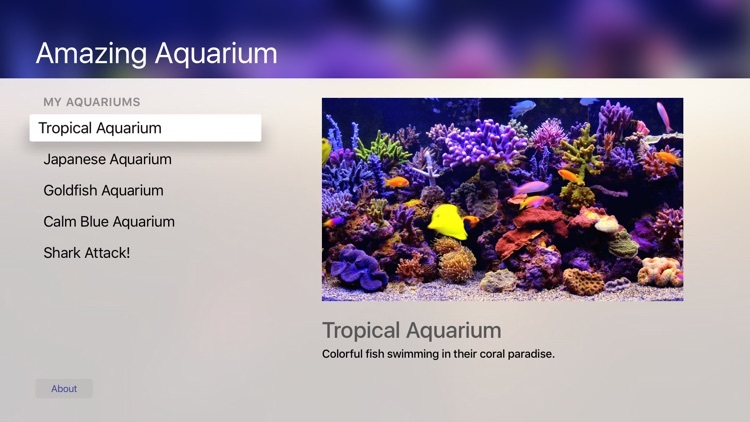 If you don't want to deal with the hassle and cost of a fish tank, but love all the tranquility and beauty, you will love these Apple TV apps. 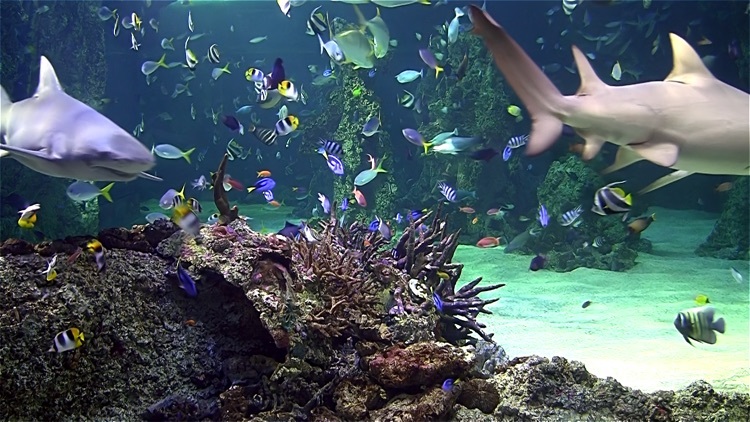 · Stunning tropical reef to host sharks, turtles and manta rays. In-App Purchases: For the cost of download you will receive 15,000 Shells. Shells are used to buy tanks, ornaments, wallpapers - and of course fish! This is enough to build several well stocked tanks. If you want to add more items to your collection, more Shells can be bought using in-app purchases. These are NOT compulsory, and anything you buy will be yours forever. Adverts: There are NO compulsory adverts in Aqua TV. You can CHOOSE to watch video adverts in return for Shells which you can then use to buy items for your tanks. These will never appear unless you specifically ask them to. If you buy Aqua TV, or any Shell packs, rest assured that will go towards helping us continue to support the app - making new features... and new creatures! 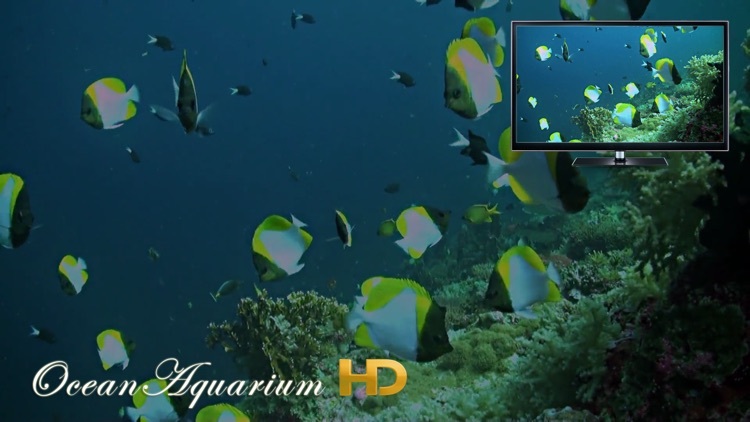 Ocean Aquarium HD for your TV, Tablet and Phone featuring colorful fish, sharks and stingrays. 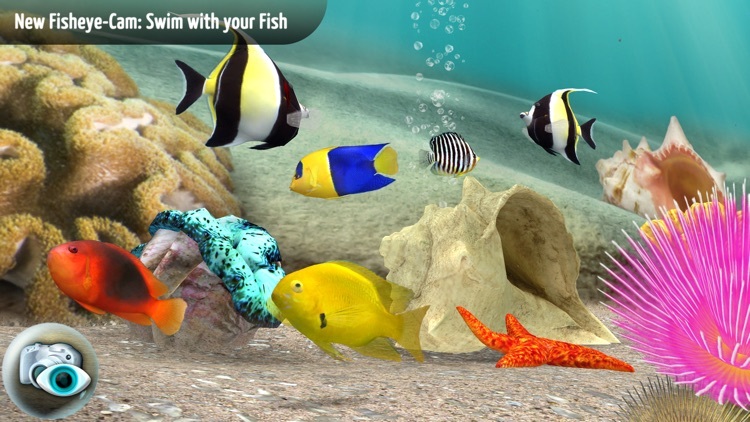 Ocean Aquarium HD features multiple aquariums both offline and online. Settings allow you to customize audio and toggle online and offline aquariums, you can also set a sleep timer. Convert your TV, tablet or phone into a beautiful aquarium and turn up the ambience with Peaceful Aquarium HD with optimization for Fire TV. 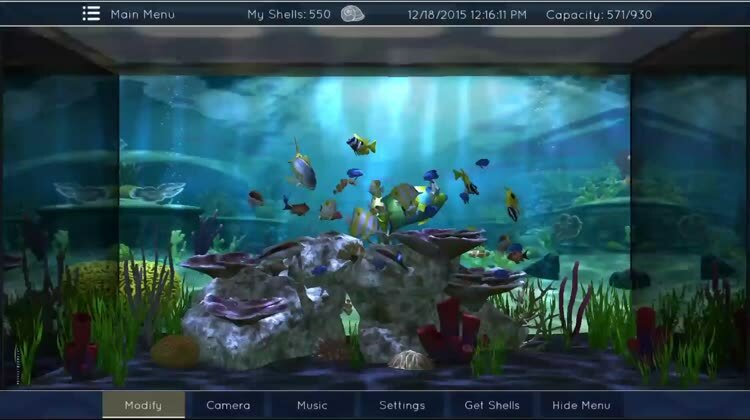 Peaceful Aquarium HD features multiple aquariums both offline and online. Settings allow you to cusotmize audio and toggle online and offline aquariums. Jellyfish VR is an underwater simulation type of app. You will see the jellyfish calmly move and float as if you were in the water with them. 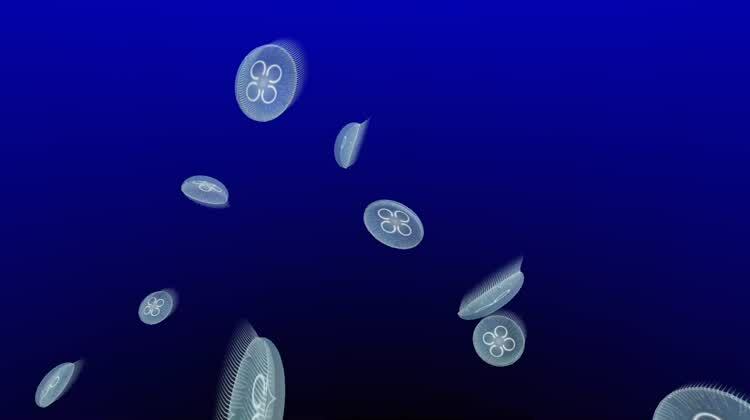 You can also use the jellyfish as an overlay for both front and back camera photos on mobile devices. 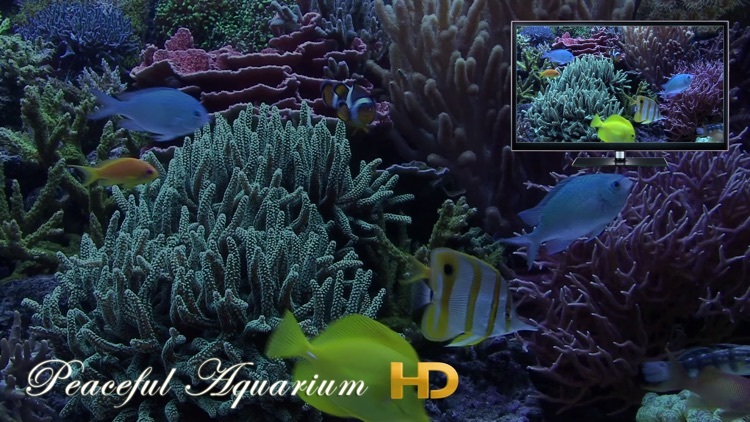 Relax with this fantastic sight Aquarium 4K! Introductory offer 75%. Take advantage today and download it. 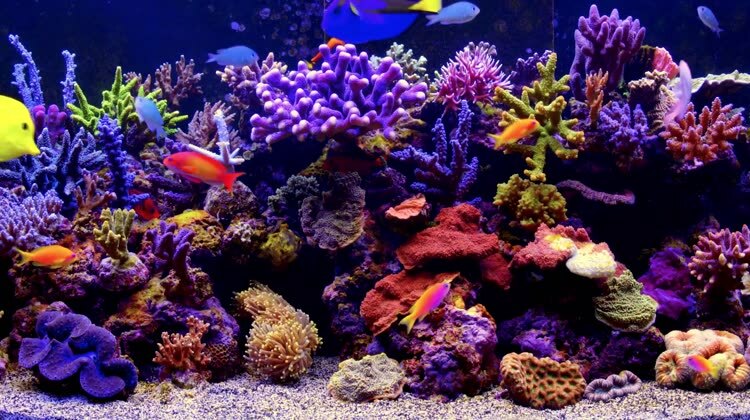 Want to put an aquarium in your home? or maybe put wallpaper for your phone or iphone?, now with Aquarium 4K is possible. Get out and enjoy this application with your partner or friends of the images in 4K relaxing a great aquarium for iPhone, iPad or Apple TV. Now valid for new Apple TV! Also if you have an AppleTV or Chromecast, you can also have the aquarium on your television in high definition (4K). You like the fishes, but you do not have the means to have an aquarium at home. You know the effect of relaxation that provides the observation of fish. This application is for you. No maintenance or food to give, this application offers just enjoy the show. 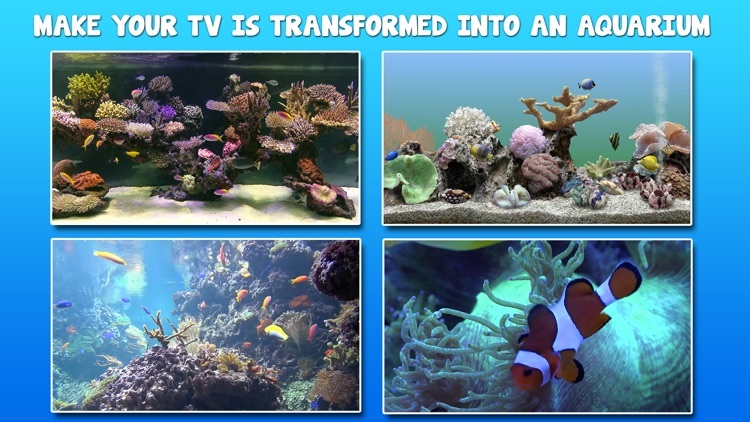 Actual aquariums on your new AppleTV with real moving fish, sharks, sting rays or jellyfish. Simple interface even your grandma can use. No messy options or unneeded fluff, just choose an aquarium and enjoy. 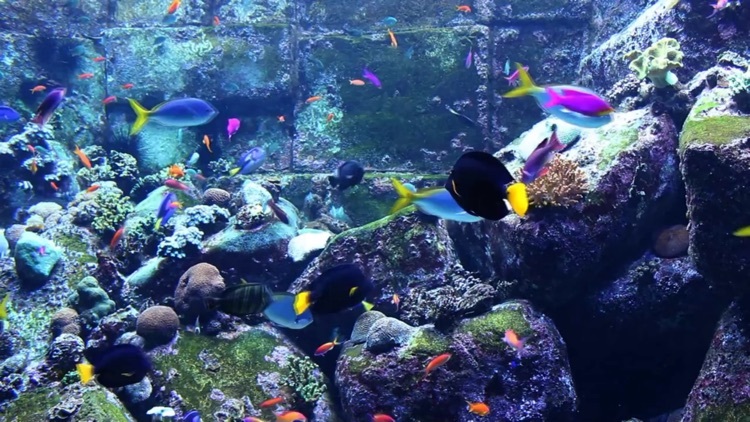 Choose from 9 different aquariums for hours of mesmerizing enjoyment. HD video with smooth transitions. One-time purchase, no ads, no watermarks. 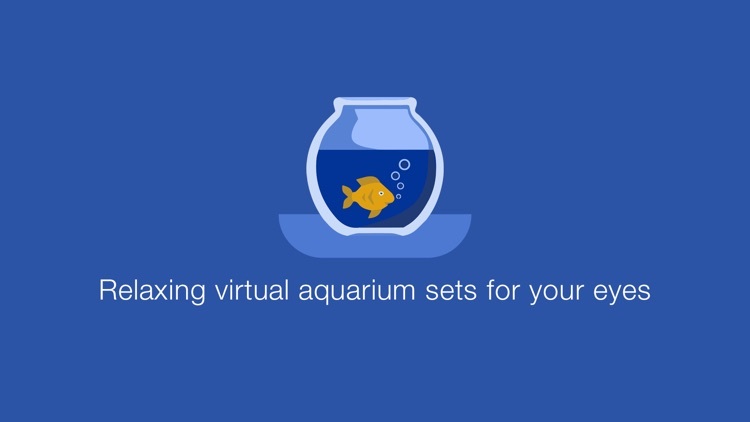 Free updates with more aquariums in upcoming releases. Aquarium TV is the most impressive tropical aquarium by Relax Zones. It was filmed in 4K Ultra HD resolution and then down-scaled to Full HD. This squeezes in 4 times more detail compared to aquarium videos filmed in Full HD. 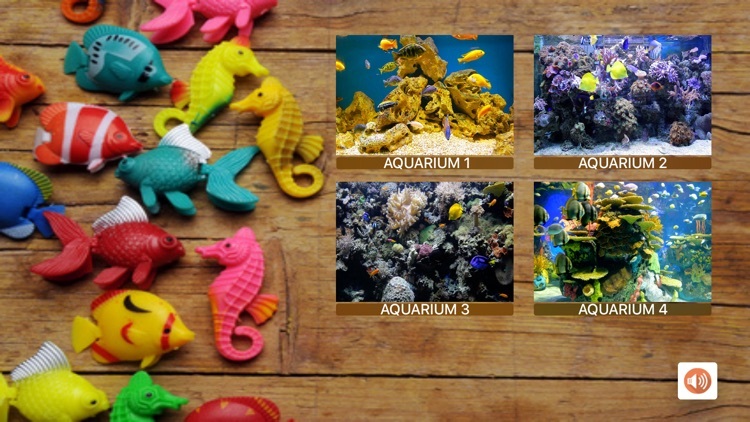 Enjoy your very own colorful fish tank now! 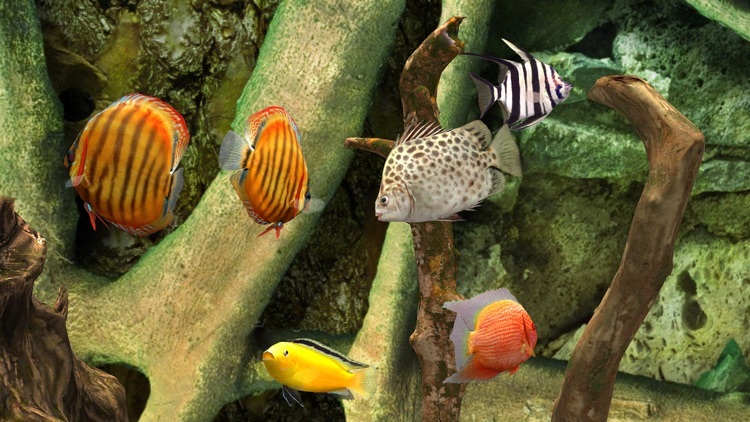 Aquarium TV is an aquarium app designed to do one thing: let you watch fish. It does it very well, from the number of fish to tank backdrops. You can choose from four different backdrops themes customized for an amazing user experience. 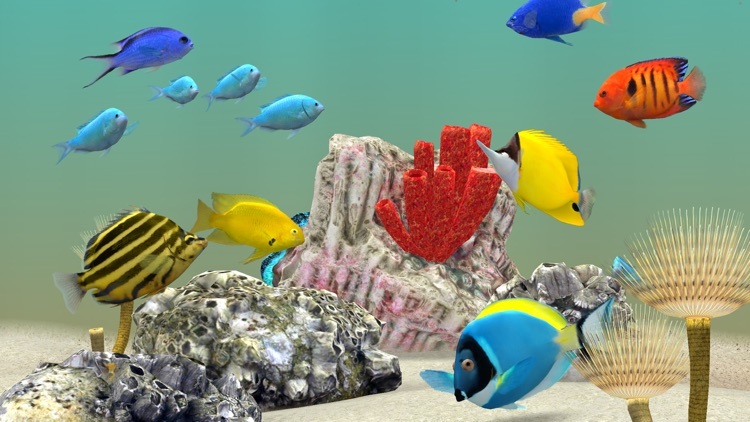 Sit back, relax and enjoy a variety of marine fish swimming about in a colorful coral reef habitat.